Celebrating the Jesuits with the French almond cream pastries called Jésuites. Jésuites are so called because of their triangular shape that resembles the hat worn historically by members of the Society of Jesus (Jesuits). 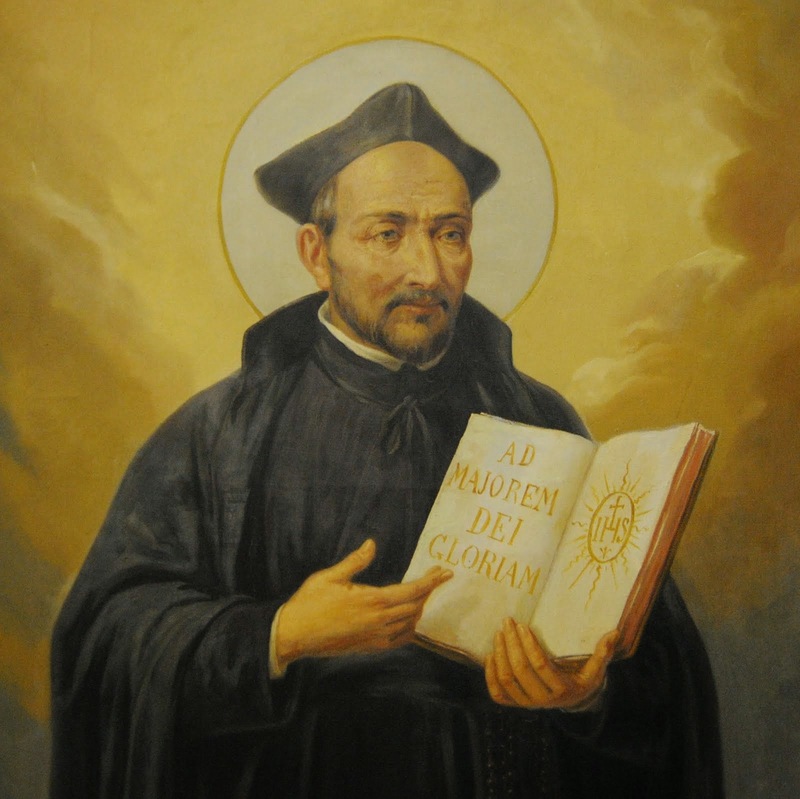 This week we celebrate the feast day of the founder of the Jesuits, St. Ignatius Loyola (July 31). Particularly with our current pope who is also a Jesuit (the first such pope in history) it is a great time to pay tribute to the Jesuits and enjoy a delicious French pastry as well. Let pastry sit out for 40 minutes to thaw enough to work with. Line a baking sheet with parchment paper. Frangipane (pronounced FRAN-juh-pan), also called almond cream, is a classic filling for French puff pastry treats. Cream butter and sugar, add almond powder. Whisk well until light. Then beat in egg (and extra yolks if desired for creaminess). Add a few drops of extract. Refrigerate until needed. Peel layers of puff pastry apart. Cut away the edges of the pastry to make a circle. The circle should be about 10" across so may need to be rolled out more if not large enough. Cut into quarters then each quarter in half again. Dip a pastry brush in water and moisten the tops of two pastry triangles. Pile on the frangipane in the middle of one pastry triangle - add about 1/4 cup (leave edges bare). Carefully place the other triangle, wet side down on top of the one with filling. Trim away any dough that overlaps. Transfer to baking sheet. Press around edges to seal. Whisk together egg white and powdered sugar. Brush on top of each pastry. Sprinkle slivered almonds on top. Bake the Jésuites at 400 degrees for 8 minutes, then lower oven temperature to 325 and bake for 8-10 minutes, until the pastries are golden brown and puffy. After removing from oven dust with powdered sugar if desired. This is a symbolic addition to the feast days of any of the Jesuit saints - and there are a lot! A few are listed in the "filed under" section. Lovely recipe! I can't wait to try it! Thanks. Let us know how yours turn out.